Is the threat of speeding tickets slowing Washington drivers down? Washington is ranked as one of the nation’s strictest states in terms of enforcing speeding and reckless-driving laws. 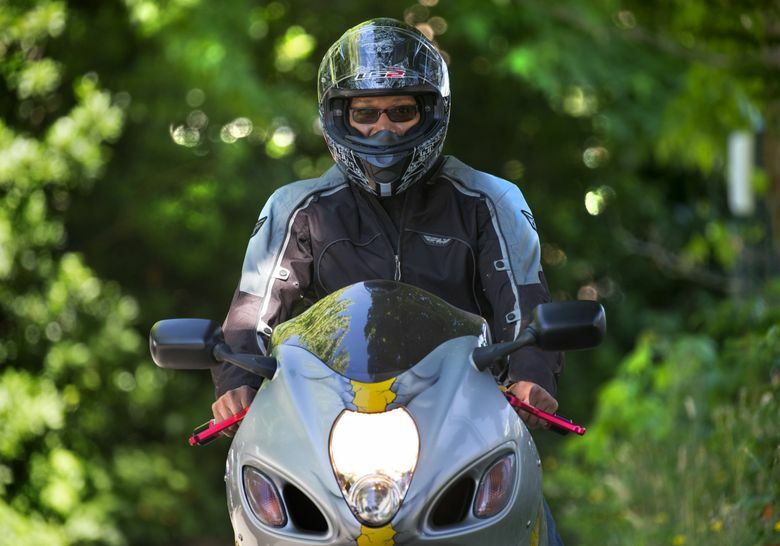 Bobby Wainright never speeds when he hits the road and it doesn’t matter whether he’s in his car or on his Suzuki Hayabusa sports bike. The risks don’t seem worth it to him. “I don’t want the fine that comes with it. I don’t want an accident and I don’t want to endanger the safety of others,” said the 48-year-old King County employee. That kind of sentiment among Washington drivers may be a result of the state’s commitment to strictly enforcing traffic laws, which contributes to its standing as one of the nation’s strictest in terms of enforcing speeding and reckless-driving laws. The list, compiled by WalletHub, is based on information collected from 50 states and the District of Columbia about the consequences of breaking a litany of driving-related offenses, including the cost of speeding tickets, the use of automatic red light and speed cameras and whether there are additional penalties for reckless or aggressive driving. Washington is tied with Illinois, Virginia and Alabama as the eighth most stringent state for enforcing driving decrees, behind Delaware in first place, Colorado, Arizona, New Mexico, California, Oregon and North Carolina, the study by the online credit service provider found. It’s also heartening to officials with Washington State Patrol and the Washington Traffic Safety Commission, which are among the agencies working toward Target Zero, a statewide effort to eliminate all fatal and serious injury traffic incidents by 2030. Critics of strict enforcement of speed limits charge that the link between speed and safety is exaggerated because of biases embedded in data collection and inaccuracies found in some police reporting on accidents. She said ideas about the appropriate driving speeds are cultural and differ by state, region or even country. On a recent trip through Montana, Baldwin saw people zipping by her at 90-plus miles per hour and said she found herself relieved to return home. Evidence of Washington’s culture of roadway caution can be seen in the statistics regarding seat belt use, which show 95 percent of drivers and passengers buckle up each and every time they get in a car, Baldwin said. The rate was about 15 percent lower prior to 2000 when the state launched its “Click it or Ticket” campaign and began rigorously going after seat belt scofflaws. Kyle Moore, a spokesman for the state patrol, said that’s not a surprising outcome. “Research shows that writing tickets changes behavior,” he said. State patrol troopers last year stopped about 382,000 drivers for allegedly speeding. Of those, almost two thirds were given citations, while the rest were given verbal or written warnings, Moore said. He said the state patrol has a unit that uses unmarked vehicles to crack down on aggressive drivers. He describes them as ones who engage in two or more moving violations or are likely to endanger others by speeding, tailgating or making abrupt lane changes. In 2017, 978 people were pulled over for reckless driving, with 95 percent getting tickets, Moore said. To be sure, the state’s enforcement vigor has its critics. “We get a lot of negative stories about driving in Washington,” said Shelia Dunn, the communications director for the National Motorists Association, a driver advocacy organization formed to repeal the 55 mph national maximum speed limit set in 1974 in response to a spike in oil prices. Driving with the flow of traffic and displaying lane courtesy are more important safety factors than speed, she said. “When slower drivers drive in the left lane it disrupts the flow of traffic, which is more dangerous. If slower drivers observe lane courtesy and get out of the way, they will still get there and there will be less road rage,” Dunn said. Mitchell Carter, 27, was born in Washington, but he learned to drive in Las Vegas. He admits that he exceeds the speed limit on occasion but says he only does so when it’s safe. He agrees with the assessment that people who use the left for driving, rather than passing, contribute to the dangers of the road. An even less abashed speedster, who declined to give her real name for fear of being chastised by her lawyer boss, said she speeds every time she gets behind the wheel. Interestingly, perhaps, is this: Texas, which ranked dead last in its enforcement of speeding and reckless driving laws in this month’s WalletHub study, took first place in a similar January study ranking the best and worst states for drivers based on factors such as congestion, cost of ownership, and the quality of infrastructure. In that study, Washington placed 49th.